To talk or not to talk? It is hard to decide, but in case you were wondering, it seems that silence is more appreciated than over-talking, so have a look at the quotes about people who talk too much below! We hope you get inspired from those quotes and be a wise people. Talk less and think more. Sometimes people prefer to listen, rather than to speak. Talk doesn't determine your success. Talk less and talk in a right way. East cultures are literate to silence. People should have a plug... like jukeboxes. Birds fly free without the need to talk. Maybe we're all a little pessimistic inside. People who talk too much make no sense. Faulkner isn't a fan of talkative people, I bet. Don't be a fool. Open your mind, don't open your mouth. Do talkative parents make their children articulate? And I like to tell and be told the latest gossips! Just say nothing at all. It is making noises, not communicating. Over-talking doesn't make you friendly. The perfect sum-up of these quotes about people who talk too much. 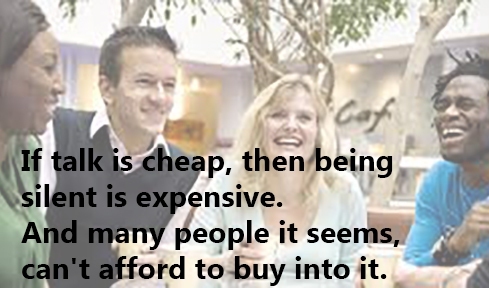 Don't be cheap! Learn silence from the talkative.